With the years of experience and expertise, we are engaged in offering an exclusive range of Crop Covers to fulfill the needs of our customers. 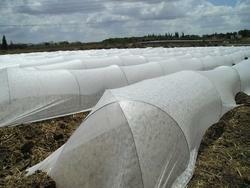 These covers protect the crops perfectly from harmful insects and can bear harsh weather conditions. In addition to this, these Crop Covers are available in different sizes and lengths. Savitridevi Polyfabrics (india) Pvt. 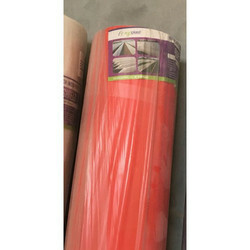 Ltd.
We are an unparalleled name, offering an excellent quality range of Plant Protection Covers. We hold expertise in offering a high quality range of Crop Cover. The offered crop cover is demanded several gardens and agricultural farms for providing protection against dust. This crop cover is checked on numerous parameters in order to deliver a perfect range at customer’s end. Also, this crop cover is widely praised by our customers for its superb protection to crops. Open field crops are susceptible to frost damage in winters. Avbc has introduced the perfect solution to protect crops from frost damage in cold weather conditions. We are offering Crop Cover to our client. We bring forth for our prestigious clients fine quality Banana Bags that finds its wide usage in agriculture purpose. The bags offered by us are heat sealed from one end and are flexible & enable ventilation for packed goods. In addition to this, our range of bags is demanded for their trendy looks and easy usage.